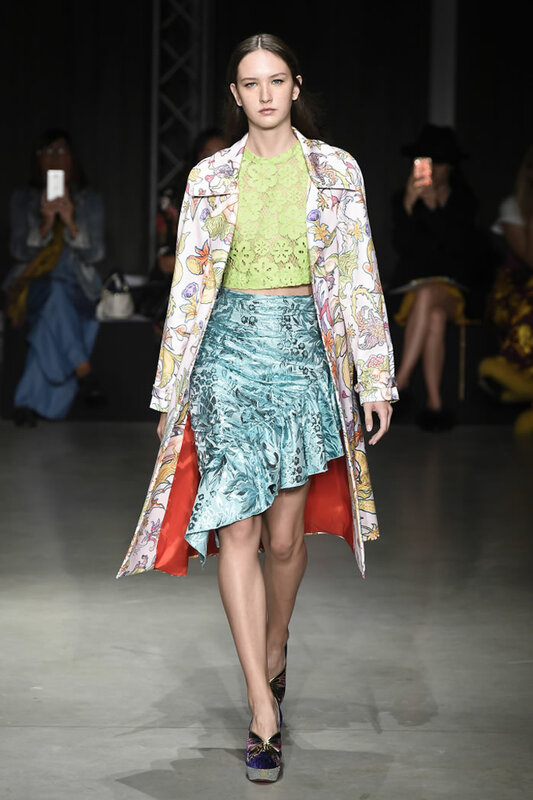 An arty print, as well as PVC sequins and colorful fringes injected a fresh, playful feel in this collection. 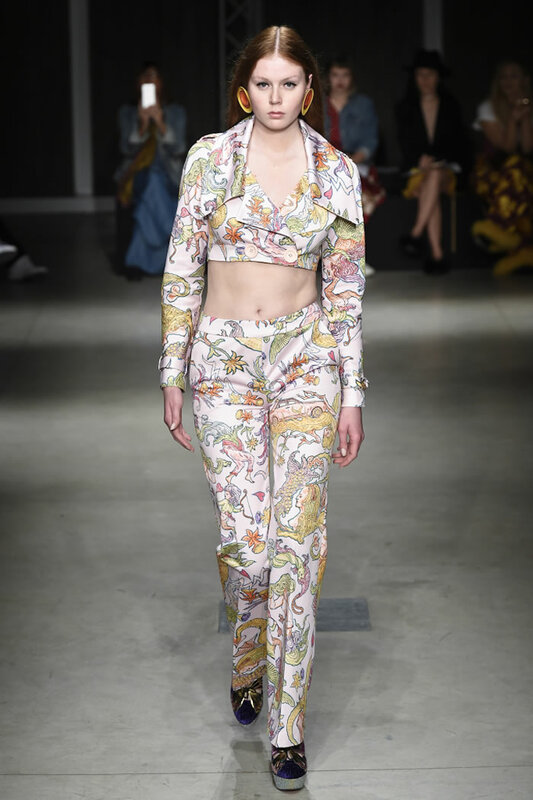 The connection between love and death was the theme that Daizy Shely said she wanted to explore for spring. 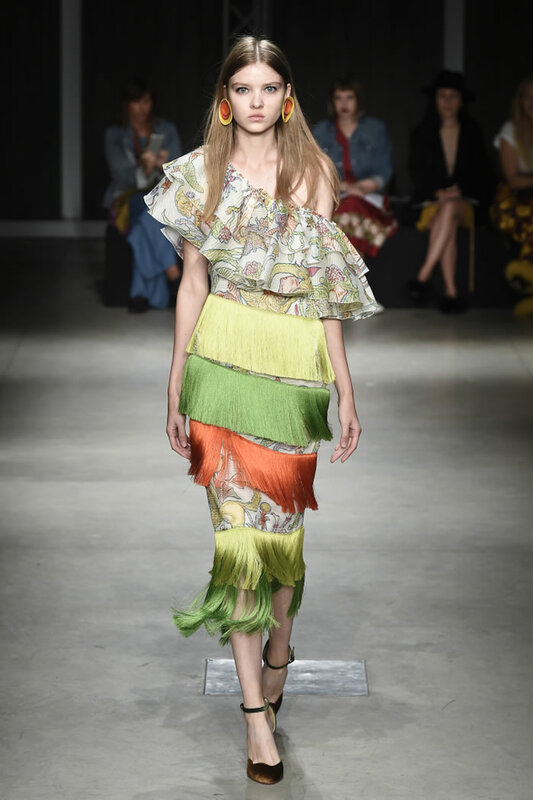 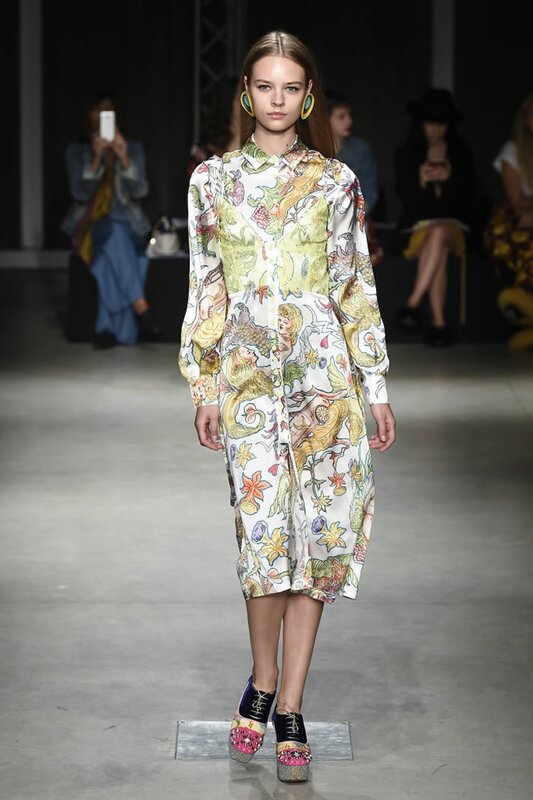 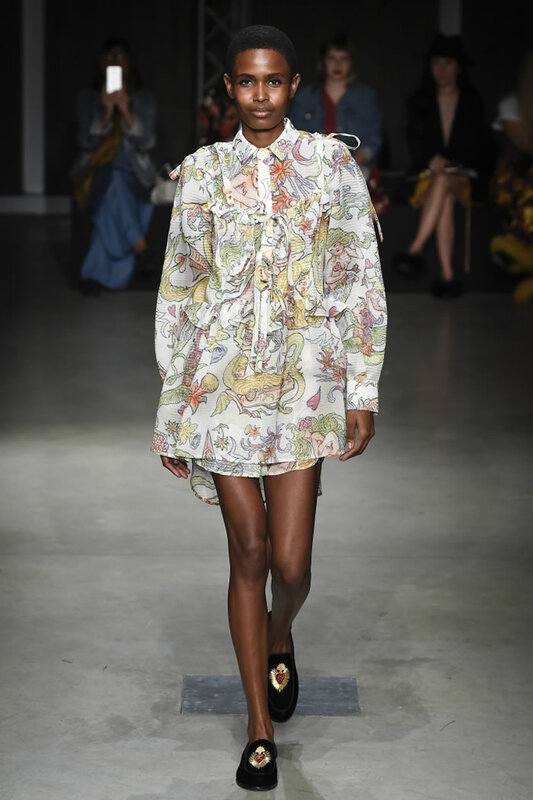 The designer teamed up with artist Umberto Chiodi to develop a colorful print that mixed romantic images of cupids and innocent women with figures in nooses, flames and frightened faces. 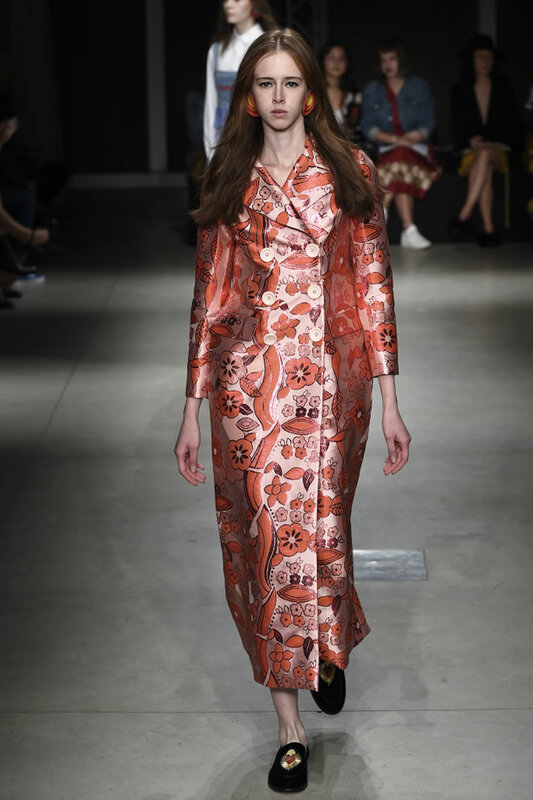 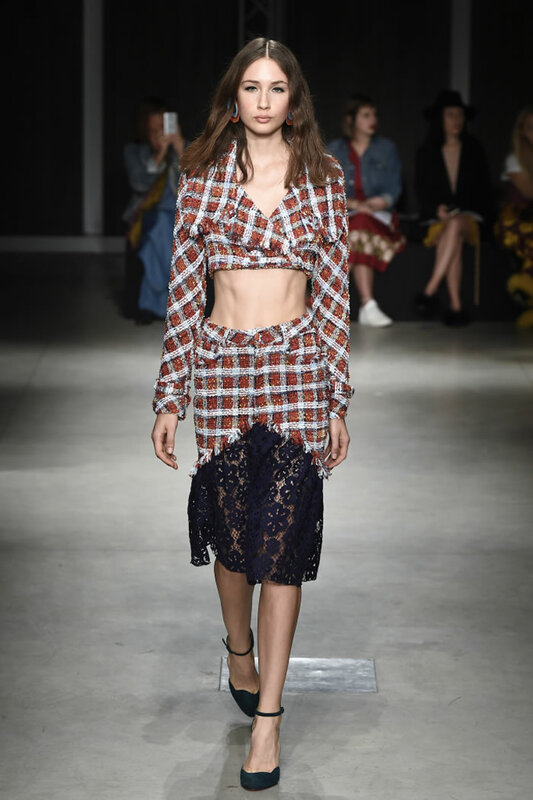 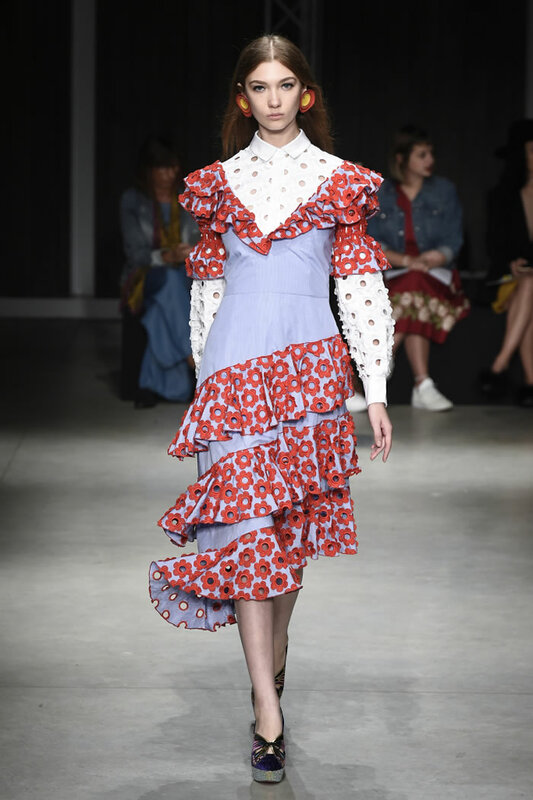 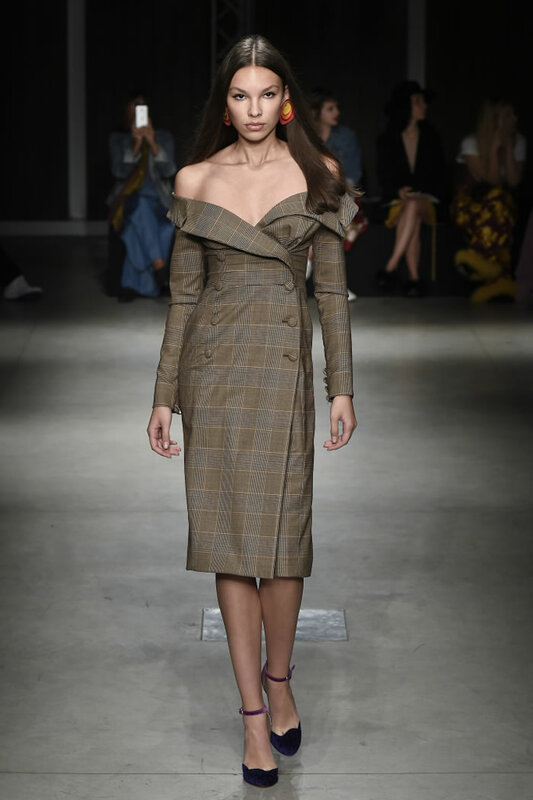 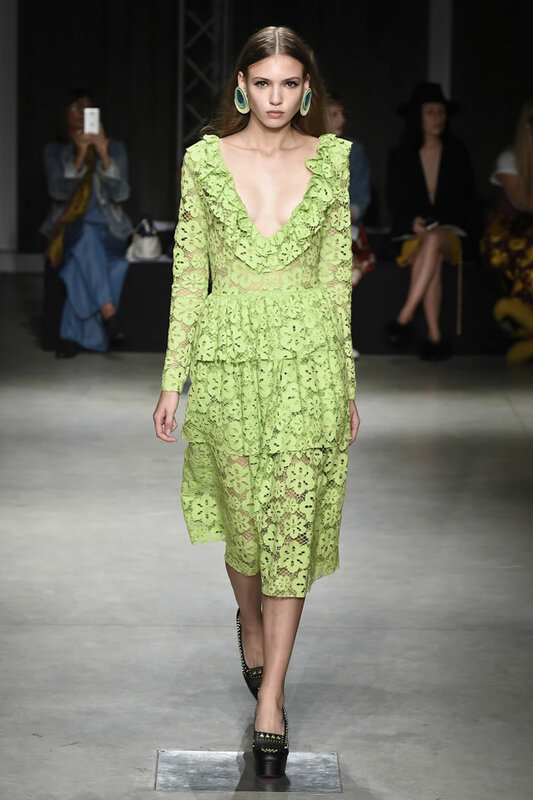 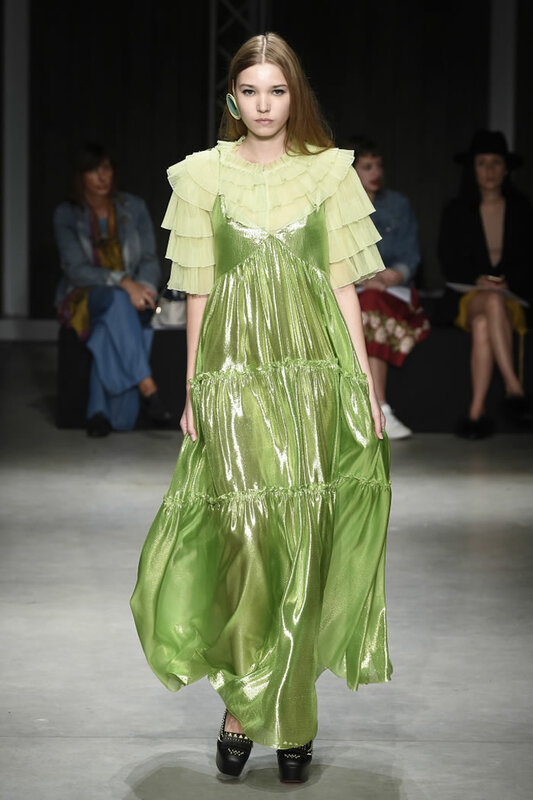 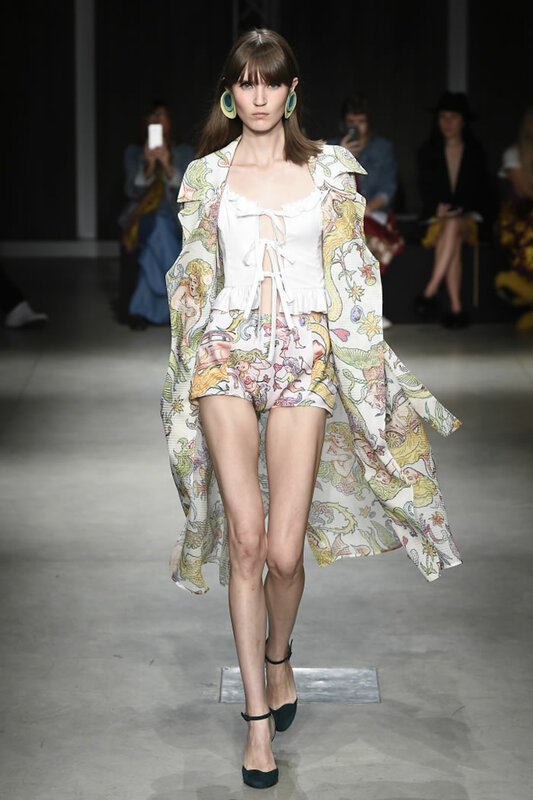 The pattern was splashed on feminine pieces, including a lovely short slip dress layered on a coordinated chiffon blouse, as well as on a fluid trench coat worn with matching short pants. 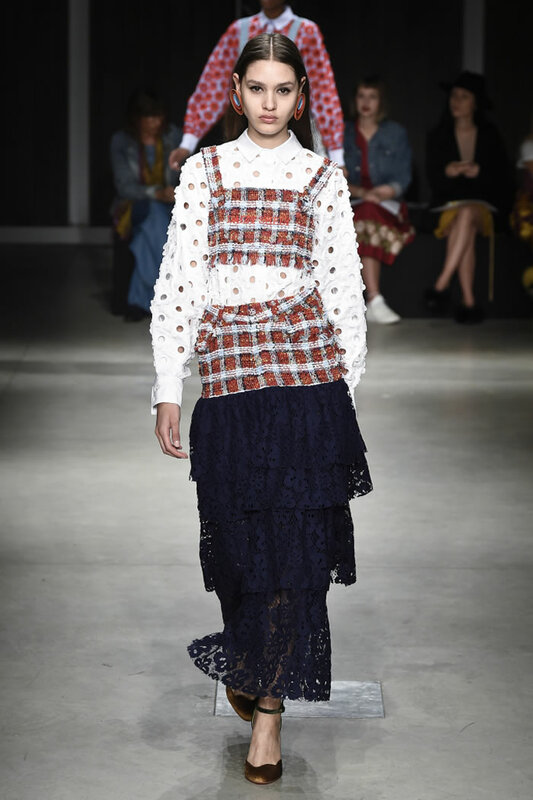 For the first time, the designer introduced denim, which was combined with pleated cotton for an overall skirt embroidered with the brand’s logo. 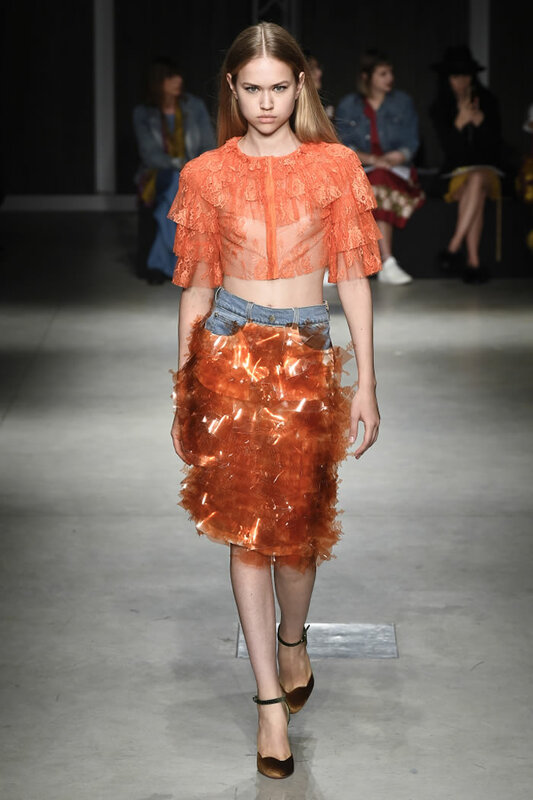 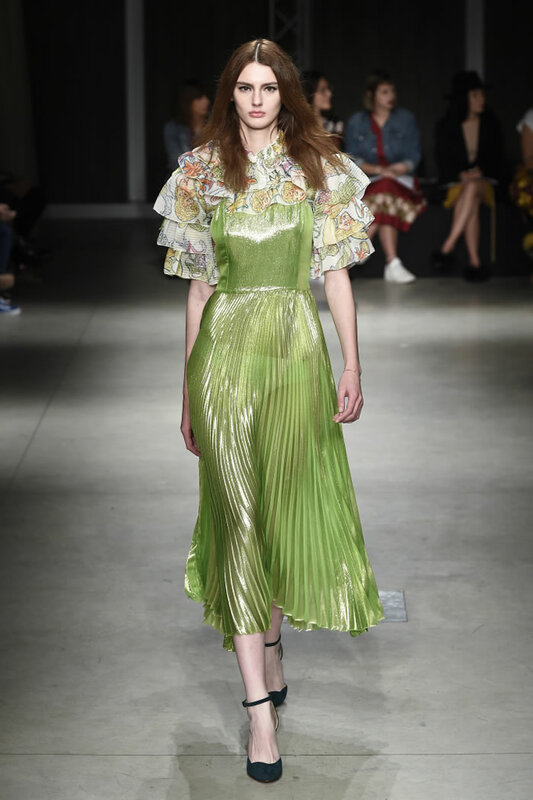 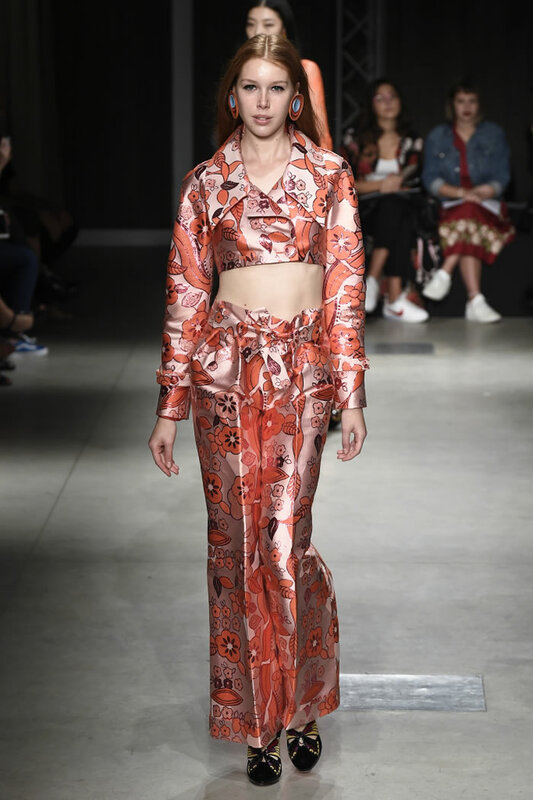 PVC sequins in a bright orange tone were embroidered on a denim skirt, while fringes were matched with lace on sensual lace dresses for a glamorous touch of eccentricity.